A record-high three in 10 Americans have credit card debt that’s larger than their cash cushion of savings — especially bad news coming on the heels of a tax season during which many early filers are finding that their refunds are lower than anticipated. Economic experts suggest that these precipitously low levels of savings, when combined with the shock of an unexpectedly skimpy tax refund, could have deleterious effects on already-waning consumer confidence. 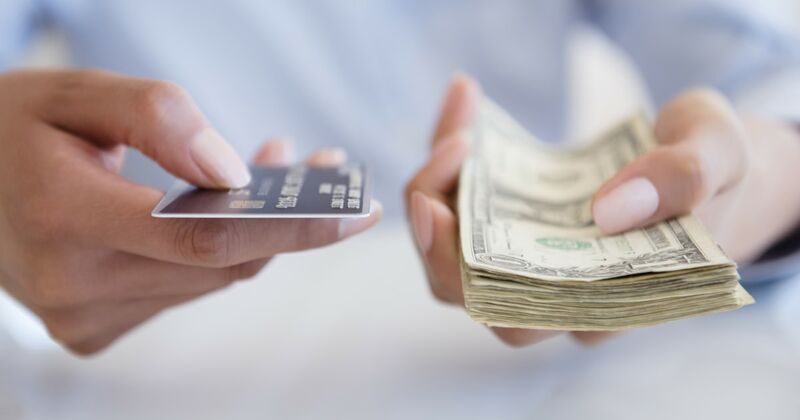 In a new survey conducted by Bankrate.com, the 29 percent of respondents who said their debts outstripped their savings is the highest number recorded in the nine years the survey has been conducted. It also is a significant jump from the 21 percent — a survey low — who said the same in 2018. Experts say evidence that so many Americans are in such a precarious financial state underscores the unevenness of the economic recovery and the critical role the annual infusion of tax-refund cash plays in household finances. “There are a lot of families who do rely on their tax refunds to pay bills,” said Diana Elliott, senior research associate at the Urban Brookings Tax Policy Institute. “It’s not surprising that people are starting to get concerned about lower refunds if they had come off of a period of higher spending,” she said. “Despite a very strong labor market and the best wage growth we’ve seen yet in this economic recovery, the financial strain on American households is very evident, with a sharp increase in the number of households that have more credit card debt than emergency savings,” said Greg McBride, Bankrate’s chief financial analyst. “There is a portion of the population that does rely on that refund every year,” said Mark Jaeger, director of tax development at tax prep software provider TaxAct. “We do see customers who may have already purchased something,” and are relying on their refund to pay for it, he said. Craig Richards, director of tax services at Fiduciary Trust Company International, said the angst over skimpy refunds was likely a result of people not understanding or realizing the implications of the changes the IRS made last year to withholding tables. Richards, like most tax pros, said it actually makes more financial sense to have reduced withholdings throughout the year and receive a smaller refund. Doing otherwise is, in effect, granting the U.S. Treasury an interest-free loan of your funds over the course of the year. But that recalibration appears to have caught many taxpayers by surprise: The ire was palpable on social media, with the hashtag #GOPTaxScam trending on Twitter as users detailed the extent to which the new law changed their own taxes. Especially for those families already underwater on their debt burden compared to their savings, this could prompt some cutbacks to spending behavior, McBride said. “It’s easy to draw a connection between smaller tax refunds and the inability to make the financial progress that you’d been planning to make,” McBride said. “Consumer confidence has also taken a hit with the government shutdown, the stock market volatility and, in many corners, the uncertainty around trade and tariffs,” he added.